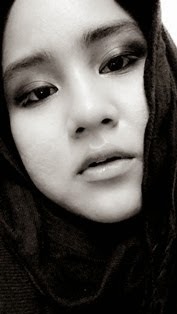 What So Sizzle Bout Sizzling Suzai - Malaysia Fashion, Travel and Lifestyle Blogger: "Bazigaar" Lets Watch it now!! "Bazigaar" Lets Watch it now!! i'll do the story after i done watching it for i-don't-know-how-many-times-i've-watched film!!" as for now lets turn on your Zee Tv channel on the number 108 and watch this super cool movie by my ultimate crush, Mr. Shah Rukh Khan! hahaha...ok i'm done. the film was ended half hour ago. 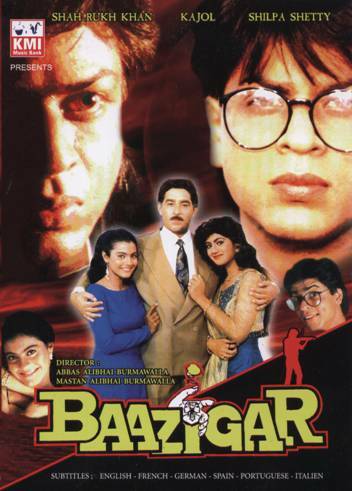 here i am continue writing about this 1993 film-made that featured Mr. Shah Rukh Khan and Kajol for the first time ever. yup, for the a not-very-fan of Bollywood, surely will thought that Dilwale Dulhania Le Jayengge was the first date of this Jodi No.1. yup, its wrong because Dilwale Dulhania Le Jayengge was actually the 3rd time! talking about the successful of this film, Mr. Shah Rukh Khan had won the "Filmfare Award for Best Actor" for his first antagonist role. everyone was stunned by his villainous character of Ajay Sharma/Vicky Malhotra and soon after that film, he was again acted as the rebellious obsessed lover in Darr (1993). fortunately, both films were box-office hits! oh, then came along Anjaam (1994) which again portrayed him as the psycho lover besides the actress Mahduri Dixit. i guess all the negative roles here should thanked the triumph of Ajay Sharma/Vicky Malhotra character from the Baazigar (1993)! OK enough with Mr. Shah Rukh Khan's film chronology. now, lets talking about this film which ending with Mr. Shah Rukh Khan's character death is very distressful for me. hahaha..i hate to watch the film where he is dying at the end. yup, you know it, that is the reason why i'm not favour to watch Baazigar, Darr, Devdas, Shakti:The Power (special appearance) and Kal Ho Na Ho! huh!